Most of us need meditation tools in order to reflect on our thoughts effectively and bring the right energy into a space. If you’re new to the practice of meditation, then opting for zen meditation products or tools can help you meditate and get started in your journey of self-reflection. Fortunately, this article will not only identify essential meditation items, but it will also provide the details on where you can get them. Read on. First on our list of meditation tools is a meditation cushion. This Peace Zafu Meditation Cushion provides comfort, so you can better contemplate your life. Next on our list is a meditation pillow that can give you the relaxation your body has been longing for. Through this Third Eye Export’s Floor Pillow, your physical senses will be put at ease as you delve deep into your thoughts. If you’re planning to meditate while traveling, then this is a meditation tools you need. Mobile Meditator’s Travel Pillow for Meditation is an item that’s handy and inflatable, enabling your meditation experience to be more convenient and peaceful. To make your meditation more harmonious, your senses need to be satisfied. Having a silk pillowcase puts your senses at ease and allows you to concentrate on what’s most important. While this meditation tool is for those who are into meditating indoors, it’s mountain forest print is designed to make you connected with nature even if you’re inside your house. If you’re not into soft pillows, then you can always get yourself a meditation mat. This item is handloom-woven, making it eco-friendly and great for long stretches of reflection. Another alternative to cushions is a meditation bench. This is one of the meditation tools perfect for those who want a platform-type of a seat as they reflect on their thoughts. It’s difficult to meditate in a dirty space. Emphasize tranquility and comfort by sanitizing your tools for meditation. Preparing yourself for meditation requires you to organize your thoughts. By using a handful of empowering question cards, your reflection can achieve greater meaning and structure. Another tool to prepare you for your meditation experience is a drawing board. Here, you can illustrate how your current situation looks. Once you’ve used this as a starting point, you can simply close your eyes and meditate. A cotton blanket can keep you warm even as your body stays still as you meditate. If you’re thinking of meditating outside during the cold weather, then you’ll need a fleece blanket. This will help you avoid distraction as you attempt to find inner peace. Next on our list of useful meditation tools is a meditation shawl. This tool is great for those who find blankets too big for them. Meditation pants can help beginners avoid the distractions that often come from being too conscious of one’s self. These pants also enable you to move freely, which, in turn, allows you to think clearly. Great for traveling, as it’s easy to fold and wear, this wrap-around meditation skirt will allow you to dress appropriately for self-reflection no matter where you are in the world. Next on our list is another tool that can help you unlock the hidden parts of your self and life. If your aim is to raise your self-awareness through meditation, try playing calm background music as you sit. Do you want to deepen your meditation for clarity? If yes, then try incorporating quartz or selenite into your practice. Whenever you feel like you’re losing your focus, set a mindfulness bell by your side. Ring it and bring your breathing back to a steady and unconscious rhythm. If new to the practice of meditation, try having a meditation timer. With this timer, you can gradually build yourself up to longer and longer meditation stretches. The power of color and #fragrance in one #holistic #candle and melts, for a greater sense of health and well-being. #RootCandles #SeekingBalance line combines the science of #aromatherapy with color therapy, allowing the stresses of your day to fade away. Available in 12 fragrances. #MadeintheUSA. #EssentialOil based. The next tools on our list are candles for meditation. These candles can help set a mood that inspires you to loosen up and free yourself from worries and stress. Tip: Place the candles in a safe area, away from anything that can burn. There are times it’s hard to reach our inner zen. This headband is designed for those days when you really can’t concentrate. By putting it on, you can achieve a better focus by blocking out unwanted stimuli. Just like candles, incense can make your surroundings serene. Using incense can help put your senses at ease as you enter a whole new dimension in your meditation. If you’re yearning for privacy as you meditate, then take the time to look for screen dividers. This tool can also help you designate a specific space in your home for self-reflection and allow you to enter into a state of peace more quickly. Another trick to help you set a meditation mood is to get carpets, which are more comfortable than hardwood and easier on your body as you sit for long periods of time. Tip: Pick carpets with designs symbolizing your mantra. This will help you get focused on your spiritual goal and self-awareness. The next items on our list of meditation tools are hand-painted curtains. These allow you to control the amount of light in your meditation area while also bringing beauty and craftsmanship into the space. To attract more positive energy, try wearing bracelets with special gemstones. These instruments aren’t meant for fashion, but rather help your mind and body gain a positive aura for your meditation. One of the most useful meditation tools for reflection is a scrying bowl. This item allows you to empty your mind of worldly things, allowing you to enter a state of reflection faster. Connect with the healing properties of water by getting a miniature fountain. The sound that the flow of liquid makes stimulates reflection and peace and can make your meditation more insightful. To feel confident and raise your self-awareness, you can wear amulets while meditating. Similar to the energy-releasing bracelets, these pieces can provide the spark you need to meditate peacefully. Enhancing your mood is a great way to prepare yourself for meditation, as you’ll be better equipped to block negative thoughts. For this purpose, essential oils are very effective. If you’ve found that your meditation practice improves by having an object to concentrate on, then get yourself a palm stone. This stone will absorb your worries as they’re released from your mind through self-reflection. As a beginner a meditation chart can help you identify which part of your body attracts the most positive energy. This tool can also aid you in focusing better on your contemplation. The benefits we reap from modern technology, like mobile applications, are limitless. That’s why, if you ever feel you lack other meditation tools, you can always download an app and let it do multiple tasks for you. Apps can offer question cards, calming sounds of nature, and even encouraging quotes. 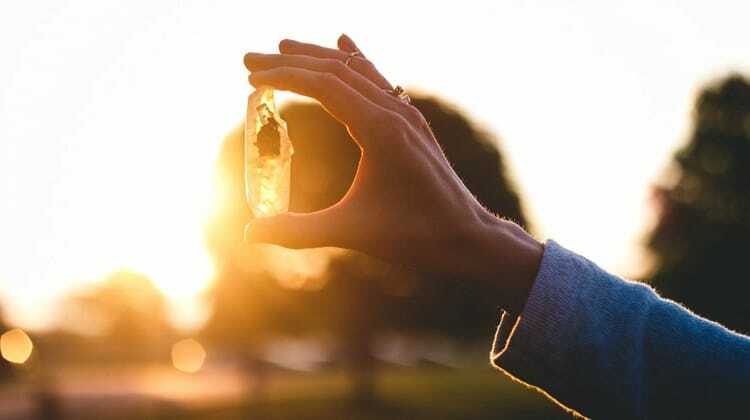 One of the best examples is the Spire Stone: Stress Management and Activity Tracker. This is one of the innovative meditation apps beginners like you can use. Available for both Android and iOS, Spire Stone keeps track of your breathing patterns and notifies you with suggestions to keep you calmer. One of the crucial tools a beginner need for meditation is a coach. While you’re in the process of learning this practice, you can aid yourself with the expertise of a meditation coach. This coach can teach you techniques you can use in the future when you’re alone meditating. Last but not the least is a meditation location that offers serenity. Picking this tool is the most crucial of all. Keep in mind that places that involve nature often make it easier for a person to deeply reflect. Bear in mind to always set your spiritual goals before meditating. After all, regardless of if you have all of the meditation tools listed above, what actually matters most is your eagerness to raise your self-awareness. Do you have anything else to add to our list of useful meditation tools? Share with us in the comments below! Up Next: What Are Self Awareness Tools?